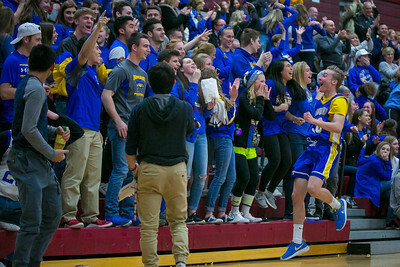 Daryl Quitalig - For Shaw Media Johnsburg fans cheer after forward Jacob Gutierrez makes a last-second shot in the third quarter of an IHSA Class 3A Boys Basketball Regional Final at Marengo High School, Marengo, Ill., Friday, March 2, 2018. Johnsburg won, 64-52. 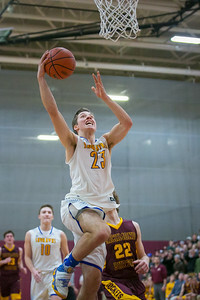 Daryl Quitalig - For Shaw Media Johnsburg forward Brody Frazier (23) shoots the ball in the fourth quarter of an IHSA Class 3A Boys Basketball Regional Final at Marengo High School, Marengo, Ill., Friday, March 2, 2018. 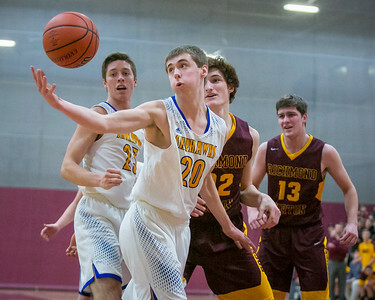 Johnsburg won, 64-52. 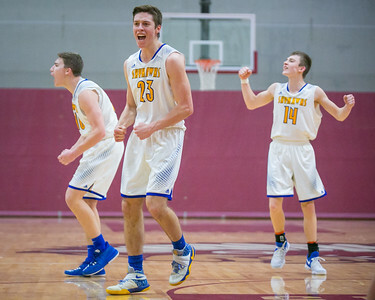 Daryl Quitalig - For Shaw Media Johnsburg forward Brody Frazier (23), Mason Sobiesk (10), and Zach Toussaint (14) celebrate in the fourth quarter of an IHSA Class 3A Boys Basketball Regional Final at Marengo High School, Marengo, Ill., Friday, March 2, 2018. Johnsburg won, 64-52. Daryl Quitalig - For Shaw Media Johnsburg forward Gibson Groves (20) secures a rebound in the first quarter of an IHSA Class 3A Boys Basketball Regional Final at Marengo High School, Marengo, Ill., Friday, March 2, 2018. Johnsburg won, 64-52. 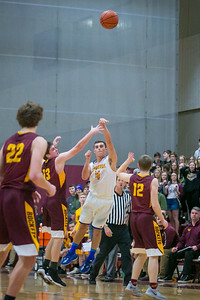 Daryl Quitalig - For Shaw Media Johnsburg forward Jacob Gutierrez (4) heaves a last-second shot in the third quarter of an IHSA Class 3A Boys Basketball Regional Final at Marengo High School, Marengo, Ill., Friday, March 2, 2018. Johnsburg won, 64-52. Daryl Quitalig - For Shaw Media Johnsburg forward Jacob Gutierrez (4) defends Richmond-Burton forward Jeffery Jankowski Jr. (12) in the second quarter of an IHSA Class 3A Boys Basketball Regional Final at Marengo High School, Marengo, Ill., Friday, March 2, 2018. Johnsburg won, 64-52. 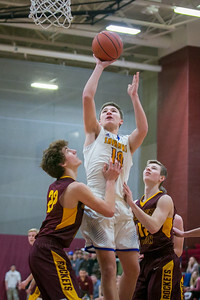 Daryl Quitalig - For Shaw Media Johnsburg forward Mason Sobiesk (10) shoots the ball in the third quarter of an IHSA Class 3A Boys Basketball Regional Final at Marengo High School, Marengo, Ill., Friday, March 2, 2018. Johnsburg won, 64-52. 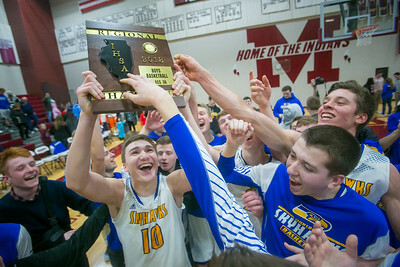 Daryl Quitalig - For Shaw Media Johnsburg forward Mason Sobiesk (10) celebrates with the IHSA Class 3A Boys Basketball Regional Final plaque after defeating Richmond-Burton 64-52 at Marengo High School, Marengo, Ill., Friday, March 2, 2018. 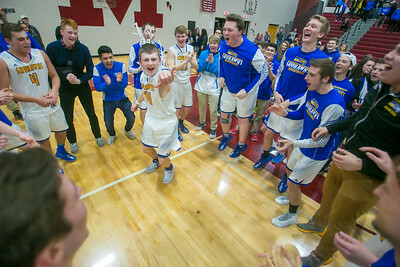 Daryl Quitalig - For Shaw Media Johnsburg guard Zach Toussaint (14) celebrates with teammates after defeating Richmond-Burton 64-52 in an IHSA Class 3A Boys Basketball Regional Final at Marengo High School, Marengo, Ill., Friday, March 2, 2018. 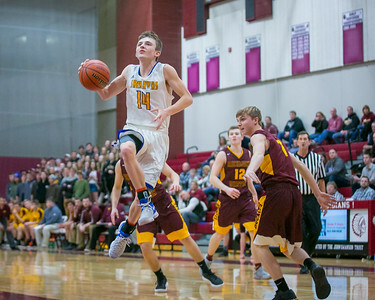 Daryl Quitalig - For Shaw Media Johnsburg guard Zach Toussaint (14) shoots the ball in the fourth quarter of an IHSA Class 3A Boys Basketball Regional Final at Marengo High School, Marengo, Ill., Friday, March 2, 2018. Johnsburg won, 64-52. 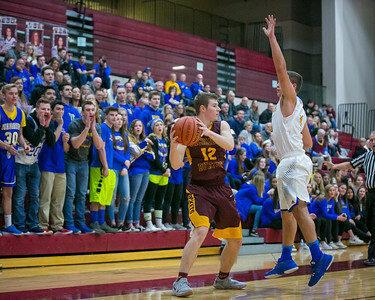 Johnsburg forward Mason Sobiesk (10) shoots the ball in the third quarter of an IHSA Class 3A Boys Basketball Regional Final at Marengo High School, Marengo, Ill., Friday, March 2, 2018. Johnsburg won, 64-52.